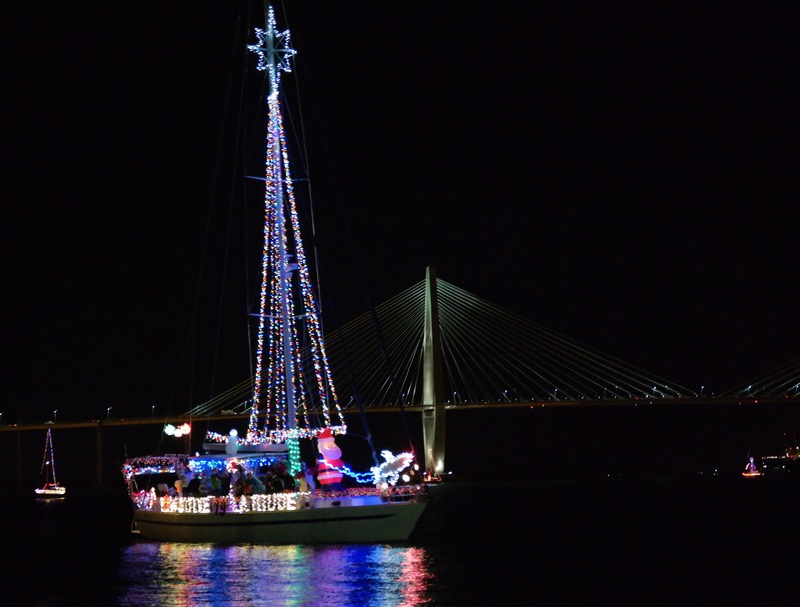 Holiday Parade of Boats | Charleston's premiere on-the-water holiday event! Charleston’s premiere on-the-water holiday event! Charleston Holiday Parade of Boats participants decorate their boats and sail the Charleston Harbor to delight thousands gathered along the shore. The 2018 Parade will be held on Saturday, December 8. Photos from the 2017 event are available at Facebook, at the America’s Boating Club Charleston page. And three videos from past parades are here. Also, you can click on any photo at this website to see a larger version of the photo; all photos on this website are from the 2014 Parade of Boats.